At FreeTaxidermySchool.com you learn how to taxidermy from the comfort of your home. 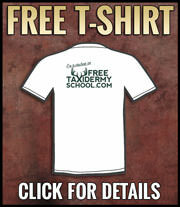 All the classes and educational taxidermy videos are FREE! 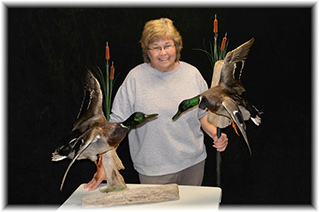 International Champion and taxidermy school owner – Dan Rinehart is your personal instructor. Having provided taxidermy instruction to thousands of professional taxidermists throughout his 33-year career - Dan Rinehart will give you the right start to help you achieve professional results and insure that you have the knowledge to make money doing something you enjoy! Every technique you learn here consists of the highest professional quality – and it’s all yours for FREE! “Taxidermy has made it possible for me to make an excellent living while being involved in something I love – the OUTDOORS and WILDLIFE! I created FreeTaxidermySchool.com so that you can experience the same rewards and satisfaction that this has brought to my life! I hope you will join me and start your journey as a taxidermist. At our online taxidermy school you can learn to taxidermy by viewing the entire whitetail deer mounting course or individual instructional segments. Learn at your pace and without any pressure or cost! Watch any instructional session whenever and however many times you desire. There is NO limit on the viewing of any instructional segment – and the best thing is that all my instruction is available to you for FREE! Get started right now by watching any of our instructional segments. Better yet - watch them all right now and get ready to start your career as a TAXIDERMIST!